Mid-century designer Alexander Girard is famous for the color and textile work he produced in the 1950s and 1960s, much of which reflected his keen interest in folk art. 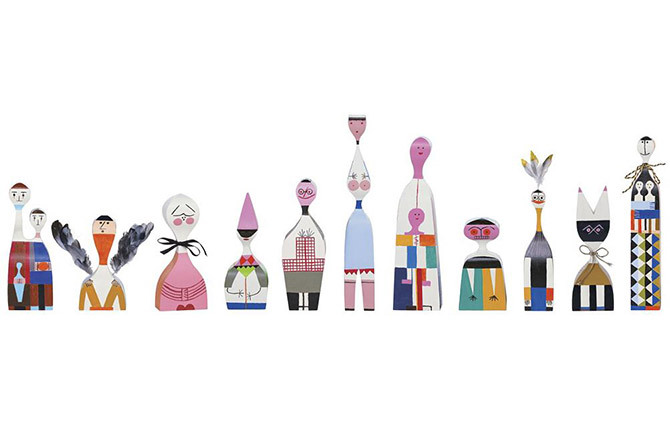 With sculptural shapes and semi-abstract styling, his collection of Wooden Dolls for Vitra reflect that same vibrant aesthetic, with visual elements inspired by cultures all over the globe. 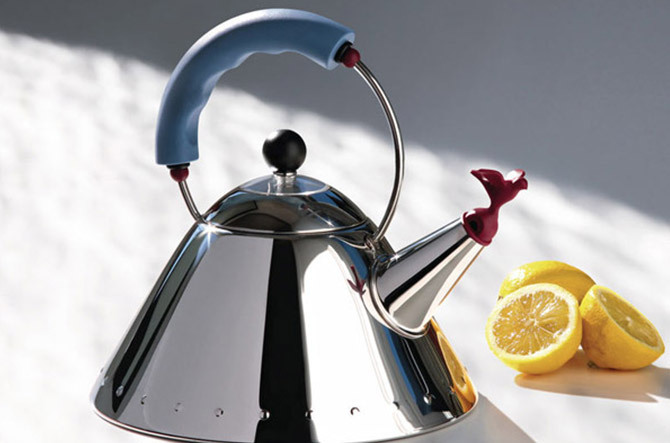 The Kettle with Bird Whistle is one of the best-known icons from architect Michael Graves. 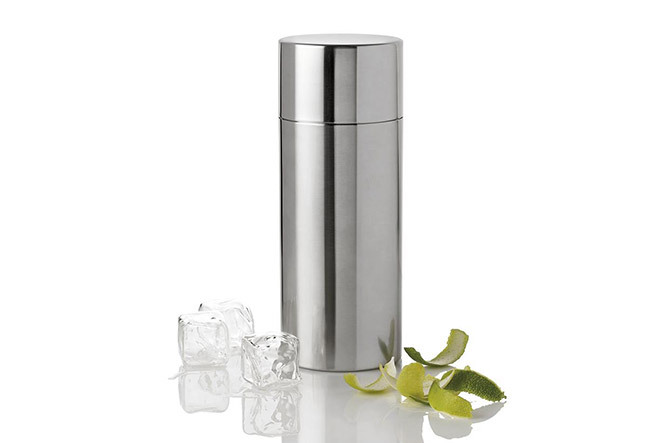 Designed in 1985, the design mixes classical and pop influences, with simple geometry and a playful bird that whistles cheerfully when the water is ready. This year, Alessi also introduced a fierce new version of Grave’s famous kettle in honor of the design’s 30th birthday. The Tea Rex Kettle replaces the happy songbird with a dragon in shiny copper or lively green. 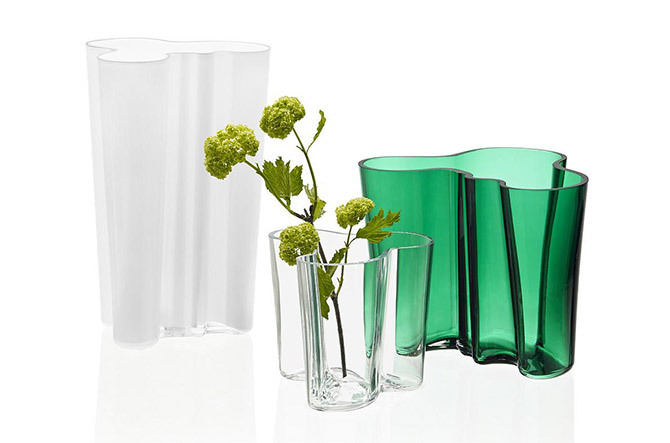 To commemorate the 80th year of Alvar Aalto’s famous vase design, Finish glass factory Iittala created his signature piece in a rich, emerald green. Inspired by waves of water, the curvaceous design is a stunner from any angle. This iconic piece is made teeny tiny as part of Vitra’s collection of miniature furniture replicas. The Eames Elephant was created by Charles and Ray Eames from bent plywood, though the design was only released to the public in plastic. The mini version here is crafted in that original material—in one-sixth the size of the orginal. This gift of light is more than just that. 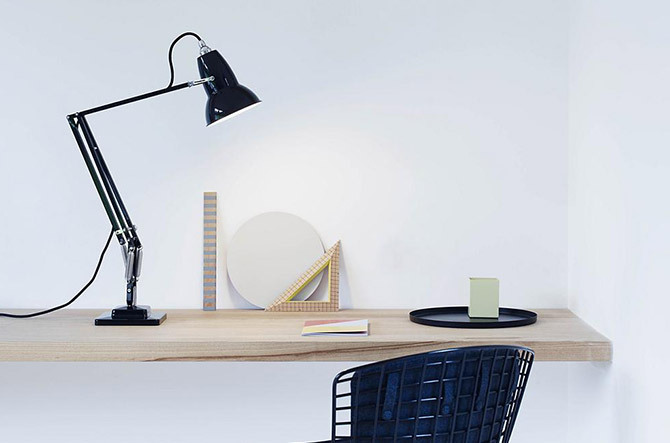 The Anglepoise Original 1227 Task Lamp is a British icon, originally created in the 1930 by George Carwardine, an automotive engineer and inventor of the 3-spring mechanism seen in this very lamp. The mechanism allows the lamp to be smoothly re-positioned to focus light on the task at hand. What started out as a series of porcelain serving pieces from Dutch design superstar Marcel Wanders has grown into a versatile line of kitchen items bearing the signature pattern. Here in laser-etched beechwood, the Dressed In Wood tray can be used to present party nibbles or serve as a pretty piece of home décor. 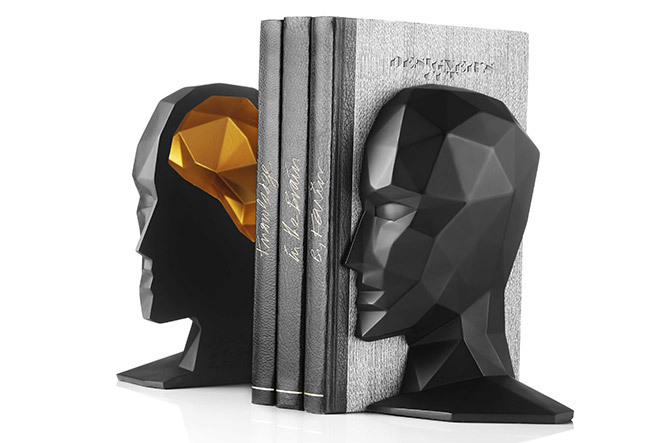 For the bookworm on your list, these quirky bookends will corral any collection. Designer Karim Rashid used his own head as the model and added a peek of gold on the inside “cavity” for those golden ideas that sit between.